Get Going Live! is back on 5th October 2018 and offers a unique experience to young and recently disabled individuals seeking driving independence. The Carshalton based Driving Assessment Centre, managed by the Queen Elizabeth’s Foundation for Disabled People, will be hosting a relaunched Get Going Live! event so that young and recently disabled people can experience assistive driving. Friday 5th October. 9:30am – 4pm. Queen Elizabeth’s Foundation for Disabled People (QEF),1 Metcalfe Avenue, Carshalton. SM5 4NR. Free admission and accessible parking. QEF Mobility Services is one of sixteen independent organisations, many with satellite centres, which offer professional information, advice and driving assessments for people seeking assistance with mobility. Overseen by the charity Driving Mobility, all centres are staffed by Occupational Therapists as well as Approved Driving Instructors so that safety for drivers with injuries, disabilities or restricted mobility is maximised. As well as conducting assessments on behalf of the DVLA, Motability and healthcare professionals, Driving Mobility accepts self-referrals. QEF Mobility Services is delighted to be hosting the first in a series of free-to-attend Get Going Live! which will be officially opened by Mayor, Councillor Steve Cook and Mayoress Pauline Cook of the London Borough of Sutton. The Get Going Live! events which focus on younger people with disabilities, novice drivers and individuals that have become recently disabled. Get Going Live! was originally a popular feature of the national Mobility Roadshow which was held annually from 1983 up until 2017. Attendees to this relaunched exhibition will be able to safely test drive a range of accessible and adapted vehicles around a dedicated test track with qualified specialist instructors. The event will provide the opportunity for visitors and their families, including teenagers from the age of 15, to try adapted driving for the first time and explore options for accessible motoring. What’s On at Get Going Live! Exhibitors at Get Going Live! Powered solutions to manage people up to 160kg with reduced mobility on stairways. Adult and peadiatric Vacuum Posture Cushions. Bathing solutions. Sleep systems including pressure relief and thermorgulation.Sensory solutions. Suppliers of an extensive range of adapted cars and wheelchair accessible vehicles for either long term or short term hire. Is a local family owned Motobaility garage specialising in Hyundai and MG cars and adaptations can be arranged. Vehicles on display and one for driving. An award winning company specializing in design, manufacture and installing adaptations to vehicles to enable a disabled person to drive. Hand controls, Foot controls, hoists for scooters and wheelchairs & steering aids. Installers all around the UK. Have been manufacturing Wheelchair Accessible Vehicles since 1985. Our attention to detail, customer care and commitment to quality mean our WAVs carry an excellent reputation. Exhibiting the new low-floor Mercedes-Benz V-class conversion. Are manufacturers and installers of vehicle adaptations. Partnered with Autoadapt & Kivi we have a product range including, Seating Solutions, Driving Controls, the Chairtopper Roof Top Box & Boot Hoists assisting the customer in the best way possible. Adapt vehicles to suit people’s needs within the car, whether that be so they can drive, get in or out, or assist with lifting heavy items into the boot for them. Is the leading UK supplier and distributor of lightweight manual and powered wheelchairs, add-on power-drives and pressure management seating. Have since 1988 specialised in mobility solutions for wheelchair users including Wheelchair Accessible Vehicles and Drive From Wheelchair Vehicles as well as a Range of vehicle adaptations and have brochures available on stand. Is a family business of 170 years displaying tiemerdous wheelchair power attachments along with active wheelchairs and folding electric wheelchairs. Suppliers of standard and bespoke mobility products with made to measure seating systems with a full in house O.T. service. Displaying power chairs, manual chairs & seating systems. Supply and design standard and custom made disability equipment for children and young people. We are selling some assistive equipment on our stand. Provide a small range of folding powered wheelchairs displaying all 3 models. Also have a new Lithium car boot scooter with 5kg battery pack with 26 mile range. Is a charity dedicated to people with tremors – its mission is to provide advice and support for those with Essential Tremor. 60% cases are hereditary. Is a charity displaying instruments, literature and videos showing people playing the musical instruments on a laptop. Provide a range of support and advice to adults, families with babies/children with spina bifida and/or hydrocephalus and to carers and professionals. Will have information leaflets, booklets, about the conditions on the stand. Are an independent retailer who specialise in prescription and provision of specialist powered and manual wheelchairs. Displaying standing power chairs, children’s chairs, special controls and seating systems. Is an equipment hire charity that provides wheelchairs and electric mobility scooters for short and long term hire. Our Recycle & Recondition project accepts unwanted mobility equipment items and reconditions to make them useable again. Is a small but very experienced company, modifying wheelchairs and vehicles for over 33 years. From basic to most complicated jobs, providing a personal customer experience. Have a range of mobility & healthcare products; ranging from scooters & powerchairs to smaller daily living aids such as walking sticks, special cutlery, rollators, bath mats, pressure cushions, wheelchair bags and perching stools. 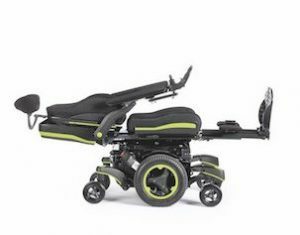 EXHIBITOR NEWS: TGA Living to showcase pioneering mobility products including WHILL Model C powerchair at Get Going Live! Surrey based TGA Living, will be showcasing a selection of its quality mobility products at the Get Going Live! event being held by QEF Mobility Services at the Carshalton based Driving Assessment Centre. Friday 5th October. 9:30am – 4pm. Queen Elizabeth’s Foundation for Disabled People (QEF), 1 Metcalfe Avenue, Carshalton. SM5 4NR. Free admission and accessible parking. TGA Living is a ‘next generation’ independent living showroom located near Farnham. Part of TGA Mobility, TGA Living provides a comprehensive range of quality assistive products including mobility scooters, wheelchairs, adjustable chairs, stairlifts and aids for daily living. Friendly TGA representatives will be demonstrating a selection of these at Get Going Live! – an accessible vehicle test-drive event for young and recently disabled people seeking driving and independent mobility. A selection of aids for independent living including walkers and shower stools. QEF Mobility Services is one of 20 independent organisations which offer professional information, advice and driving assessments for people seeking assistance with mobility. Overseen by the charity Driving Mobility, all centres are staffed by Occupational Therapists as well as Approved Driving Instructors so that safety for drivers with injuries, disabilities or restricted mobility is maximised. As well as conducting assessments on behalf of the DVLA, Motability and healthcare professionals, Driving Mobility accepts self-referrals. QEF Mobility Services is delighted to be hosting the first in a series of free-to-attend regional Get Going Live! exhibitions. Get Going Live! was originally a popular feature of the national Mobility Roadshow which ran for over 30 years until 2017. Attendees to this relaunched exhibition will be able to safely test drive a range of accessible and adapted vehicles around a dedicated test track with qualified specialist instructors. The event will provide the opportunity for visitors and their families, including teenagers from the age of 15, to try adapted driving for the first time and explore options for accessible motoring. They will also be able to see a selection of equipment innovations from leading product specialists such as TGA Living. Is a free travel mentoring service to help disabled Londoners become more confident using public transport services. Monday-Friday between 8am & 6pm. The scheme can be used for any journey in the London area covered by public transport. Offer a loan equipment service including our new scooter hire service. We have fully adapted holiday homes and Canal boat. We also sell mobility aids and personal care items. Please see the website for more details. In partnership with Quickie and will be showcasing the new Q500 and Q700 range of powerchairs. There will be the opportunity to test drive and talk to the Quickie professionals about the revolutionary new chairs. EXHIBITOR NEWS: Wheelfreedom Launch Q-Series Powerchair with Free Lift & Tilt Upgrade at Get Going Live! Wheelfreedom are attending the relaunched Get Going Live! event at the QEF Mobility Services centre in Carshalton on 5th October, demonstrating the new Quickie Q-series powerchairs and allowing people the chance to try them out. Get Going Live: Friday 5th October, 9.30 am – 4 pm, with an official opening by Mayor of Sutton, Councillor Steve Cook at 10 am. Queen Elizabeth’s Foundation for Disabled People (QEF), 1 Metcalfe Avenue, Carshalton, SM5 4NR. Free admission and accessible parking available. Alongside Sunrise Medical, Wheelfreedom have an exclusive offer for attendees at the event, who can claim a free upgrade to powered Lift & Tilt (worth up to £1,750) on any Q500 or Q700 wheelchair purchased following the event. The hosts, Queen Elizabeth’s Foundation Mobility Services are an independent organisation, overseen by the charity Driving Mobility, which offers professional information, advice and driving assessments for people seeking assistance with mobility. Replacing a popular feature from the now defunct Mobility Roadshow, the Get Going Live! event is aimed at younger people with disabilities, novice drivers, and newly disabled people, to help with assisted driving. There will be the opportunity to safely test drive a range of accessible and adapted vehicles around a test track with a qualified specialist instructor. Alongside this, a selection of assistive product specialists have been invited to attend, including Wheelfreedom, who are attending alongside Quickie Wheelchairs to demonstrate the revolutionary new Q-Series powerchairs that have just been launched. Attendees will have the chance to try out the new Q100, Q500 and Q700 models, including the flagship standing Q700-Up M, and can arrange a specialist home demonstration. In partnership with Sunrise Medical, Wheelfreedom are offering a free upgrade to a Lift & Tilt module for attendees purchasing any Q500 or Q700 powerchair from them. All of the Q500 and Q700 powerchairs come pre-prepared for Dahl docking stations, a TÜV certified system allowing people to easily dock in and drive their car from their wheelchair. For further information on the special offer, please visit www.wheelfreedom.com or call 0800 025 8005 to speak to a Wheelfreedom product specialist. Will have their Nissan Qashqai being used for test drives, available on the Motability scheme to lease and the type of adaptations that can be made to these cars. With more literature on the stand. Uses the challenges of flight and exposure to aviation as a tool for improving the lives of those with a disability (physical, learning, psychological or an injury acquired in conflict). Provides accessible cycles for people to try out plus regular cycling sessions on Mondays, Wednesdays and Thursdays at the David Weir Leisure Centre. Provides information, advice and support for people living with MND, their families, carers, and health and social care professionals in England, Wales and Northern Ireland. Scheme enables disabled people to lease a car, scooter or powered wheelchair, using their Government funded mobility allowance. The package includes insurance from RSA Motability, full RAC breakdown assistance, servicing, repairs and maintenance. Is a residential transition centre for young adults with complex multiple disabilities. It aims to help young disabled adults to gain the skills and confidence they need to live as independently as they can. Offer neurorehabilitation, vocational rehabilitation and transition support for individuals with Acquired Brain Injury (ABI) from all over the UK. Is a community transport charity supporting local individuals and groups through access to low cost vehicle hire and help avoid social isolation. Information is on the stand and how to join as a member. Offer a variety of services including home care, extra care and health projects in different boroughs. A charity 7 registered with CQC.